A home care agency can provide essential assistance and companionship to elderly relatives or loved ones in the form of a caregiver. It is a useful service that allows the senior to remain at home, but it can still be an emotionally stressful process. Part of this is due to the inherent need to trust in the capabilities of the caregiver and the agency responsible for them. You want to be confident that the people you trust with your loved one's care are qualified, capable, reliable and trustworthy. This is why working with a licensed home care agency rather than independently hiring a caregiver may be to your advantage. 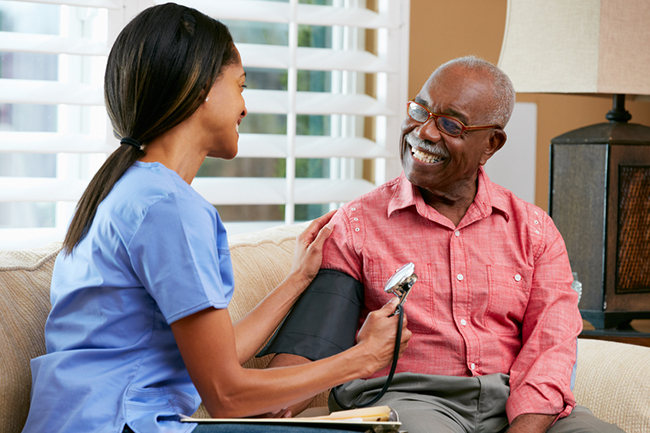 The caregivers provided by a home care agency are directly employed by the agency itself. This means that it is the agency's duty to perform proper background checks, supply training, and maintain compliance with regulations regarding safe and quality home care. It is also the agency's duty to ensure caregivers are properly supervised and to check on whether the caregivers are properly meeting the needs of their clients. Independent caregivers or those obtained by a registry do not have this sort of backing and the responsibility is instead on you to vet and monitor them—a time-consuming task that not everyone can do successfully. On the practical side of matters, it is important to remember that when using independent caregivers or registries, the caregiver counts as an independent contractor. This can leave you liable for any work-related injuries the caregiver suffers and, in some cases, for withholding and paying payroll taxes and reporting these on T4’s and so on with the Canada Revenue agency. Since home care agencies serve in the role of employer for their caregivers, you do not need to worry about this matter when using a licensed firm. One of the issues with using an independent caregiver or registry is that you have no recourse if the senior caregiver is unable to come to work. The responsibility for a backup falls squarely on your shoulders, which can either leave you scrambling to find someone else to fill in that day or rearranging matters so you can do the task yourself. Either way, this is a significant and potentially costly disruption, especially if it happens more than once. Licensed home care agencies have plans in place to quickly cover clients whose caregiver requires time off. This prevents you from dealing with any last-minute scrambling and ensures proper continuity of care. It is possible that you are not pleased with a caregiver and need a replacement. If hiring independently, you can be placed in the lose-lose situation of either hurriedly arranging a substitute while you seek a more long-term replacement, or dealing with the substandard care of your current caregiver while looking for a new one on the side. Home care agencies have procedures in place to handle matters of dismissal and replacement quickly, relieving you of any undue burden.